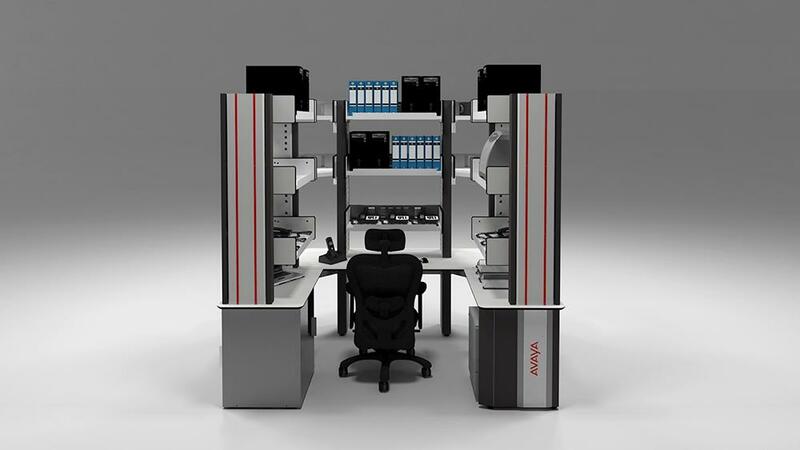 LAN lab console is a technical solution based on a vertical Arquitecture, intended for the management of IT environments and electronic laboratories, which allows a perfect organization of all equipment at various levels, taking a special care of every aspect related to the cabling infrastructure and connectivity required for the equipment hosted in the console’s structure. 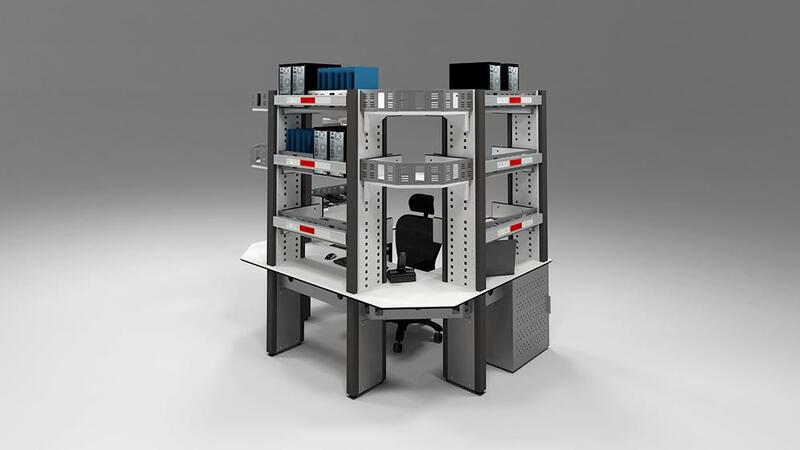 LAN lab console enables a perfect optimization of the available space, ensuring a better organization and arrangement of the entire critical infrastructure of the property. 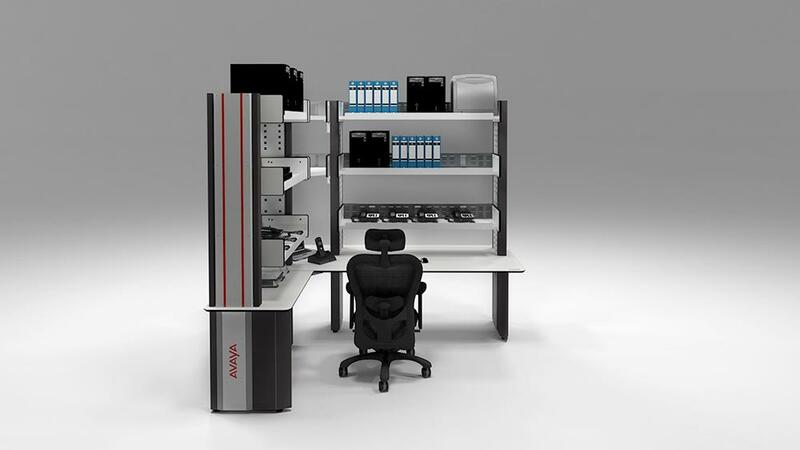 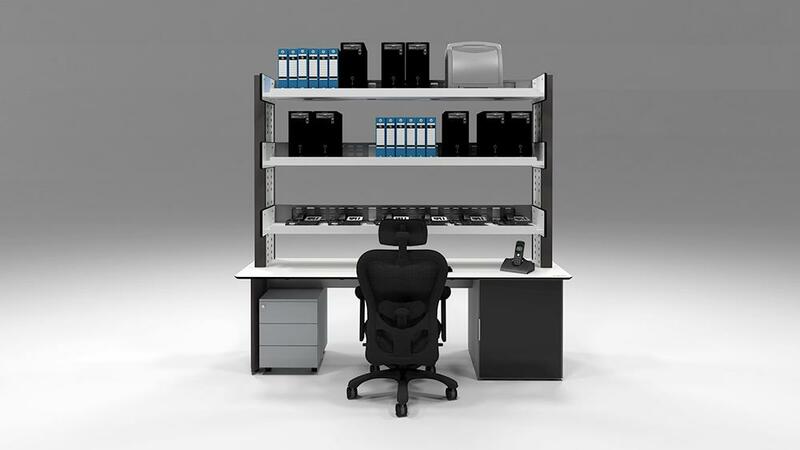 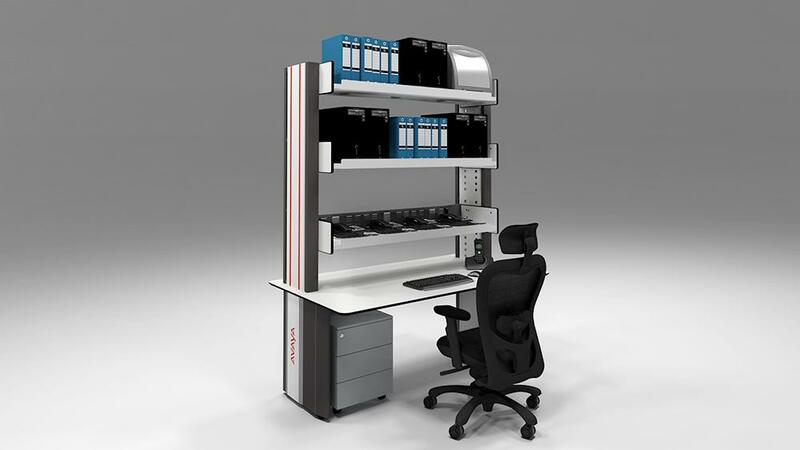 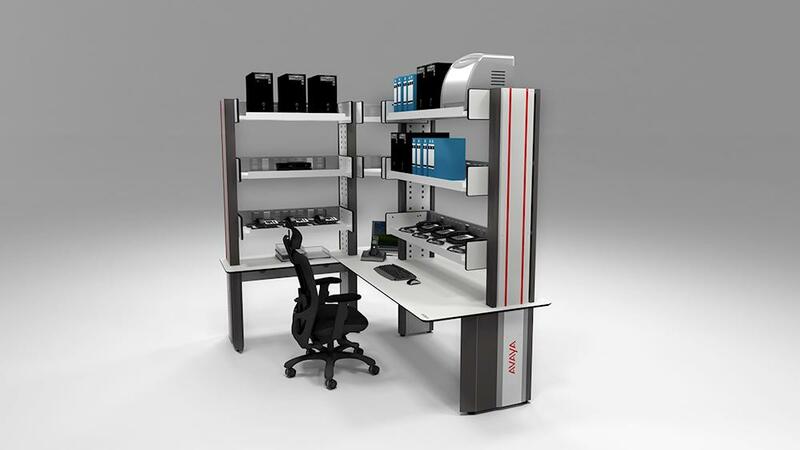 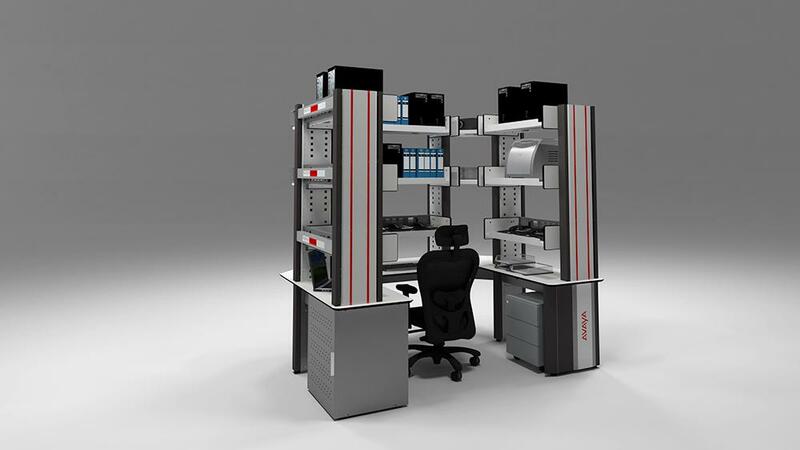 It is a highly flexible solution which can be easily adapted to the available space requirements, allowing the creation of a variety of configurations and a perfect location of all the elements required by the user in his daily work. 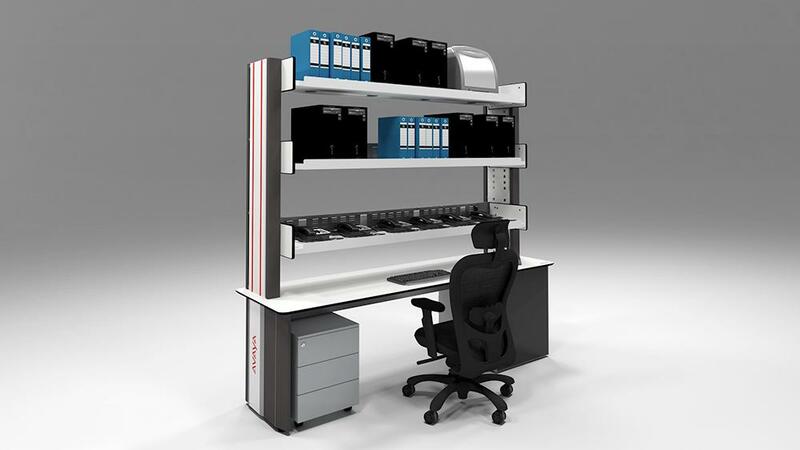 LAN Lab Console is a technical solution based on a vertical structure, composed of 2 large-format structural sides, joined together by a structure that provides a high rigidity to the system. 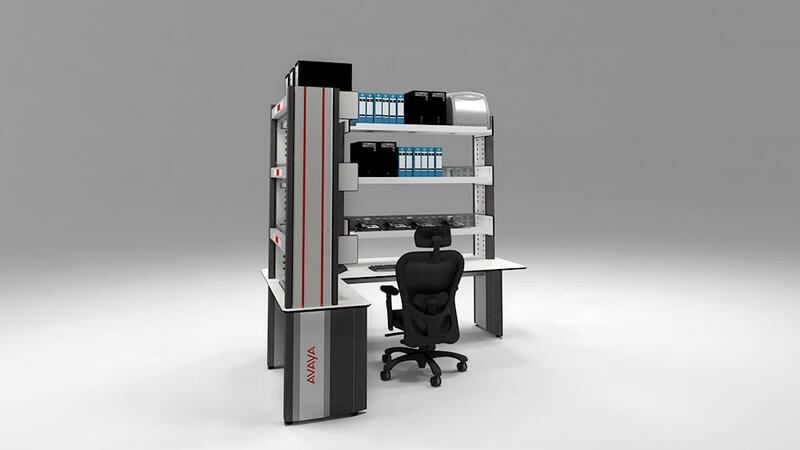 This structure defines the position of the worktop and the different levels of the vertical architecture. 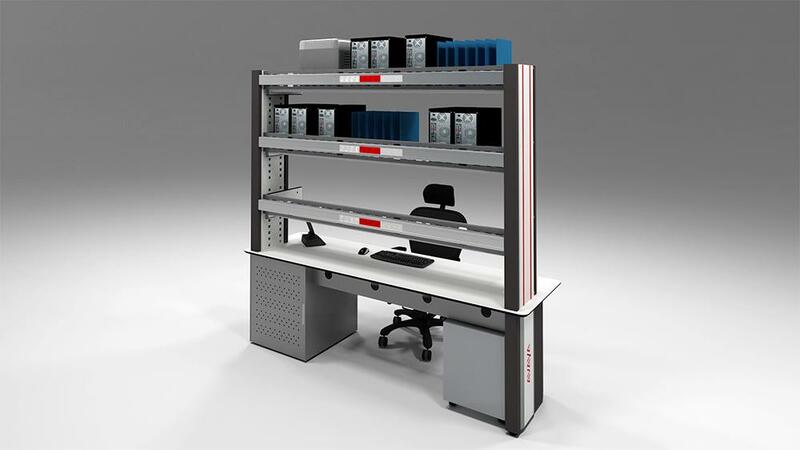 The solution provides a perfect channeling of the entire wiring infrastructure, and a specific location for all the elements of system connectivity. 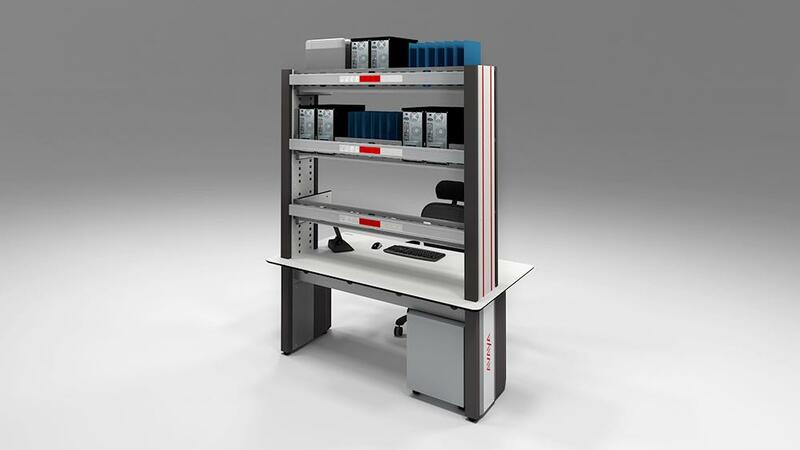 LAN Lab Console is a solution that brings value to the property, being focused on product quality, design and performance to the user, enabling a custom configuration for technical environments. 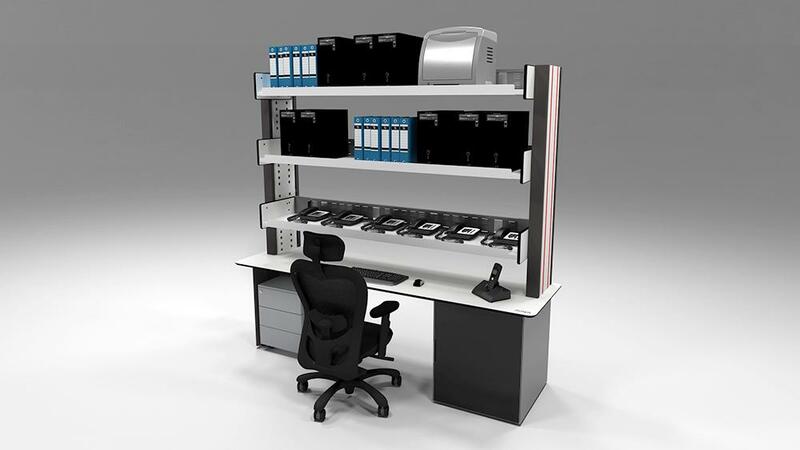 LAN Lab Console disposes of many accessories which contribute to the customization of the solution based on each user’s needs, which is why it is a product designed and developed especially for technical environments that require highly flexible, adaptable and modular solutions which allow the management of the entire critical infrastructure and equipment. 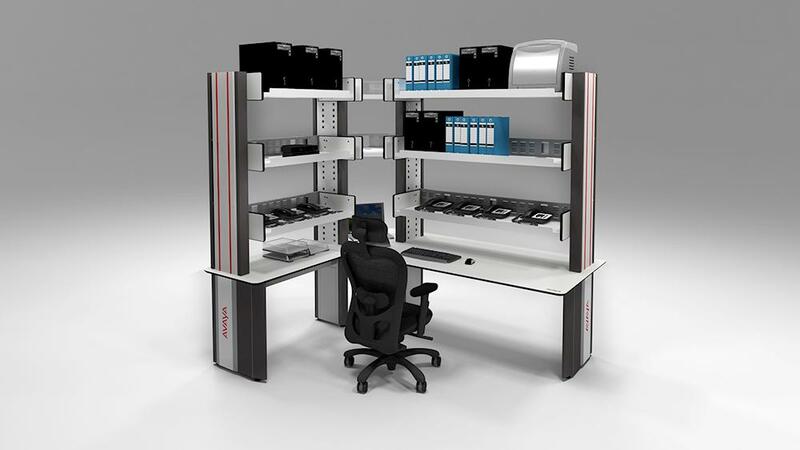 Integrated 19” Rack compartments/ Adjustable trays/ 19” sections integrated beneath the trays/ Elements for cable management/ Lighting systems for workposts/ Filing modules/ Filing Cabinets. 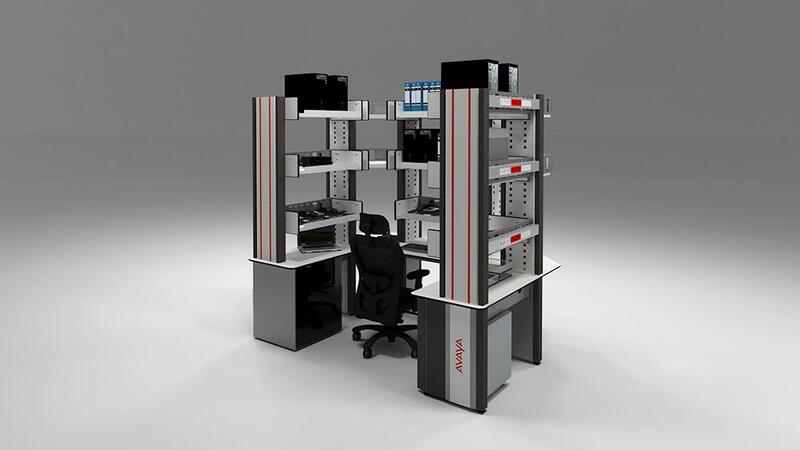 LAN Lab Console enables a comprehensive management of all the equipment it has the capacity to store in its structure. 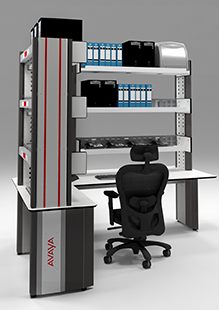 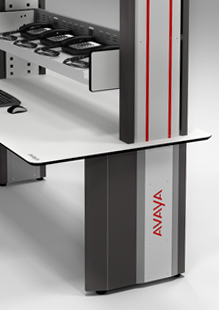 Each of its shelves can accommodate the necessary data or power sockets, be it directly or via multiple accessories designed for this purpose. 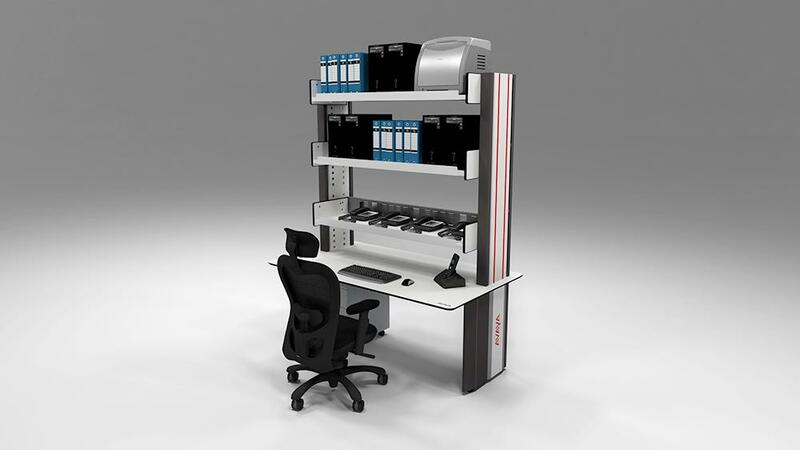 Vertically, the cabling remains ordered thanks to the high capacity columns which dispose of an easy access to their interior favoring installation and maintenance, and which moreover allow the entry of cabling from both the bottom of the console’s structure as well as from its top.